Just Because It’s Winter Doesn’t Mean We Can’t Play Outside! 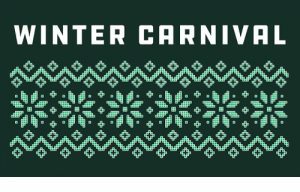 The Wisconsin Union’s Winter Carnival is a long-standing tradition. The Wisconsin Union Directorate, Wisconsin Hoofers and other campus partners challenge you to embrace the cold and go play outside! When you need to warm up a bit, head inside for hot chocolate and food specials!